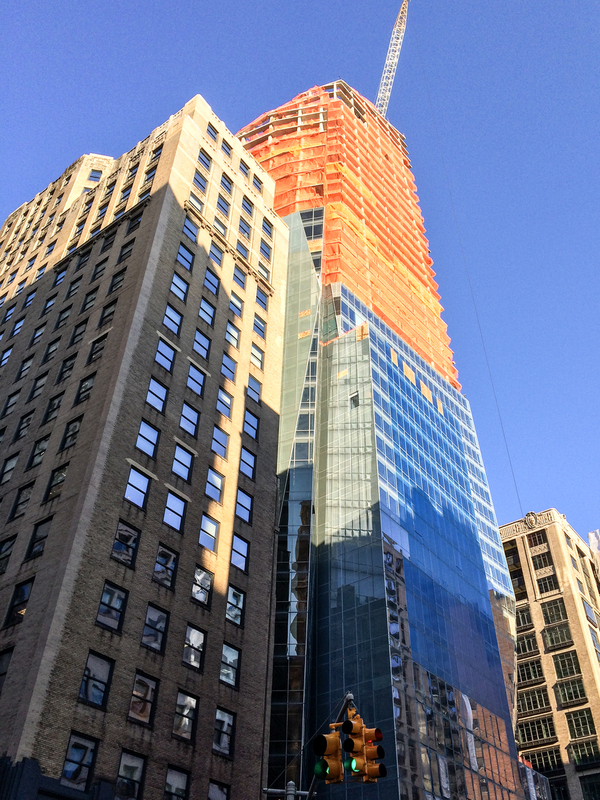 The facets of arguably Portzamparc's finest New York tower are taking shape as curtainwall has reached past the halfway mark on this 476 feet tall, 42 story tower. Condominium residences from 1 to 5 bedrooms will be located on the top 18 floors, with rentals on the remaining floors below. Completion on the 363 units should occur sometime in late 2014.